This snack was a big hit at NAFEM last week in Orlando - if you didn't make it to the show (or missed it while you were there), check out the recipe below. Packed with plant-based protein, these bites are perfect for your customers when they need a quick energy boost on the go. 1. Cream together peanut butter and honey in the CPM800 stand mixer using the mixer beater attachment. 2. Add the remaining ingredients in the order listed and beat until well combined. 3. Mixture should be thick and sticky. 4. Freeze for about 10 minutes or until chilled thoroughly. 5. 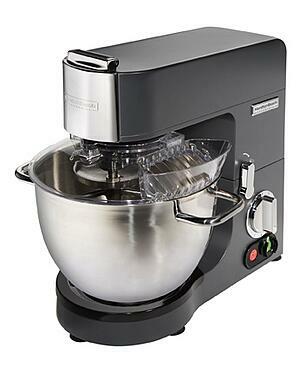 Use Hamilton Beach Commercial® disher #80-40 or #80-30 to portion. 6. Roll into balls and refrigerate. If you have an interesting story about your offerings, some recipes you would like to share with the rest of the HBC community, or an intriguing customer service experience to share, we would love to hear from you. The best stories will reference your name and your establishment, and could garner you some national or even international publicity. Please share your stories here.